I am so excited to share with you my next big fitness challenge. It started off as a plan to meet for social laps in the park (ending with cake) between a few fitness blogging friends and evolved into an international trip on two wheels. For most of my crazy adventures (World Marathon Majors, cage diving with sharks) I end up participating alone. Sharing this journey with close friends is going to be ace! 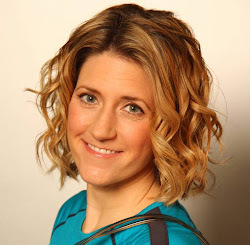 Plus it corporates several of my favorite things- travel, exercise, exploring new cultures, and eating cake. 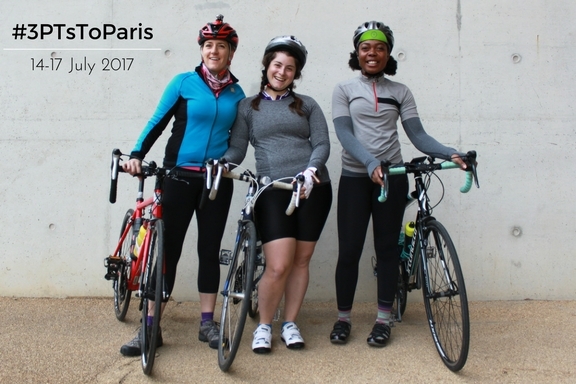 Departing on 14 July, 2017, Sophie, Elle, and I will be cycling from London to Paris unsupported. These ladies are also both personal trainers and fitness bloggers with a similar attitude towards health and fitness as me. We all live very busy lives between working and training but super exited for this challenge. My husband will be joining us as the official #InstagramHusband of the trip. He loves cycling and I am happy to be doing something he enjoys too. His tolerance for running is limited to Parkrun so I know I will never see him train for a marathon with me. We trained for Ride London together in the past but I know I slow him down (and I would slow him down for running too). We have each completed Ride London three times but rode the course at our own pace. Two years ago we rode to Brighton with some other blogging friends and it was a great day out. In total, our ride to Paris will be 164 miles (265 km) over three days. On Day 1, we ride from the Velodrome to New Haven where we hop the evening ferry to Dieppe. After spending the night in a bike-friendly Dieppe hotel, we spend Day 2 cycling to Beauvais, which will be our longest leg at 65 miles. Day 3 takes us right into Paris, ending under the Eiffel Tower for a ton of celebratory photos. There is a courier service who will transport our bikes back to London while we celebrate in the evening with good wine, yummy cheese, and probably a hot shower. Monday we have the day set aside to do some sightseeing before taking the Eurostar home in the evening. How am I going to prepare? I am continuing with Julia B Fit's home workout videos twice a week and aim to get out on the bike for a long ride on the weekends with James. Gradually, I will increase the weight of my saddlebags on the weekend training rides. Monday nights, I teach spining and #tracktuesdays with Advent Running will also stay in my diary. This ride will take me right into the start of Chicago Marathon training, which is perfect to avoid oversue injuries but keep my cardio fitness up. Win win! I am confident I can make it to Paris based on my experience with the #FitbitFifty. But this trip will require me to make my own way on open roads while carrying everything I need and probably change my own tire. Travelling with friends under an extreme phsyical challenge should be interesting too. Having this date in the diary is a great motivator too. There is even discussion if this trip goes well, we will plan a longer excursion in 2018. Fingers crossed, I hoping in the next few weeks there will be more opportunities for me to share with you that involve traveling and cycling. Keep checking back for updates. Have you ever ridden from London to Paris? Leave your tips for us on what to pack in the comments below and watch for #3PTsToParis on social media as we make our final preparations. If you are a brand that would like to support us on this epic adventure, please get in touch.